When you call Colvin Electric to your home or business you will get a licensed, thoroughly vetted Service Technician, with 10+ years of experience, committed to providing you with a professional, five-star experience. Our technician will provide you with multiple options for your service needs (i.e. Good, Better, Best), giving you the power to choose what works best for you and your budget. Colvin Electric is an upfront pricing company, which means the price our tech presents is what you’ll pay. No hidden charges or someone telling you they have to charge more because it took longer than expected. This allows our technician to take his time and provide a thorough, professional service and you don’t have to watch the clock, worried about how long it’s taking. Colvin Electric’s service technicians will take care of your service needs, and home, with the highest level of care and attention to detail. We’ll treat your home as if it was our own mother’s, from using drop cloths and plastic to cover your floors and belongings, to wearing shoe covers and cleaning up when the job is complete. Our goal is to provide all of our customers with the best possible customer experience. Schedule your appointment today and let us create that experience for you! Click here to email our team about your service needs. Have you lost power? Let one of our expert technicians diagnose the problem and get you back up and running quickly, courteously, and safely. Colvin Electric only uses top of the line, high quality surge protection, designed to redirect harmful surges to ground in less than a nanosecond! 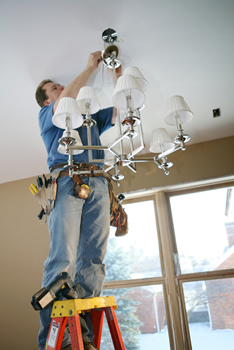 Colvin Electric specializes in all types of lighting repairs and upgrades, from incandescent lighting to LED lighting solutions. Let us help you ensure the safety of your home and loved ones by keeping your fire protection devices up to date and working. Looking to add a ceiling fan to a room that currently doesn’t have one or to replace what is already there? Call Colvin Electric, we do ceiling fans too! Colvin Electric can help get you the power required for all your residential electrical needs, including circuit installation and upgrades for a variety of uses. Colvin Electric can expertly handle any of your electrical system repairs, upgrades or rebuilds, including panel replacements, breaker replacements, grounding, complete service rebuilds and more. 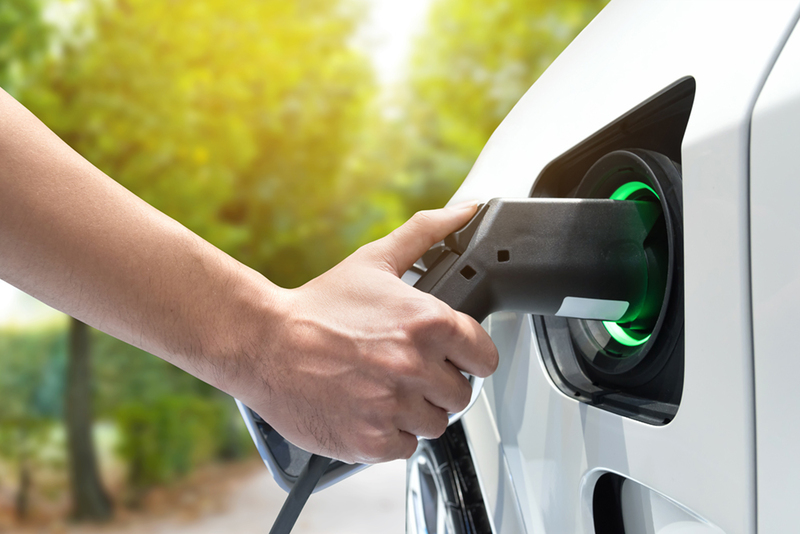 Colvin Electric is familiar with residential electric vehicle charging stations for all EV vehicle makes and models, including installation and service. And More! If you don’t see the electrical service you need here, contact us to ask what we can do to meet your residential electrical service needs.